RUSSIAN specialist for 25 years, Beyond Travel, have released huge savings on their best sellers in the market to celebrate the release of its 2019 Russia & Beyond brochure which also features Cruise Russia products and 24 pages dedicated to the ever popular region of Scandinavia. 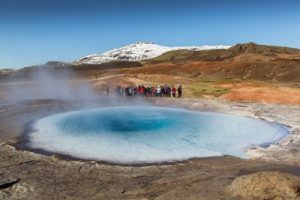 The sell-out Grand Tour of Iceland is back for 2019 and is now available with up to $1500 savings per couple when booked and deposited by December 31. This escorted 12-day small group tour has seven guaranteed departures and is now priced from $8480 per person twin share. “Continuing strong interest in Russia and Scandinavia for 2019 has been overwhelmingly positive and with good feedback from agents on new products and services introduced in 2018”, says general manager sales and marketing Bryce Crampton. He added, “This response has encouraged Beyond Travel to offer more variety by introducing land/river and rail options combining Russia with the Nordic countries. Agent feedback has informed us that clients are making the most of their time whilst in the region and are looking to tick off as many “bucket-list” items as possible. Our suggested tailor-made itineraries are a perfect guide for agents building a specialised client holiday. New for 2019 is the 17-day ‘The Baltics & Russia by Land & by Sea”, one of the exclusive Signature Journeys that Beyond Travel hand created. It travels from Stockholm to Moscow and includes an eight-day Russian river cruise boarding in St Petersburg. With all 2019 departures guaranteed it offers exceptional value from only $5995 per person twin share. 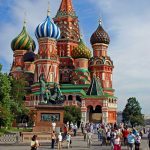 Other special offers include $400 Discover More Travel Vouchers per couple on another best seller- the 20-day premium escorted tour from Moscow to Vienna. Covering seven countries in four and five star hotels, this escorted tour is from $5585 per person twin share.